This year, as it has every holiday season since 1970, the U.S. Forest Service hand-selected a tall, straight, and full tree to grace the nation’s capital. This year’s tree, a 65-foot white fir, was cut from the Stanislaus National Forest in California and was delivered to the West Lawn of the Capitol last weekend. The Forest Service has another holiday tradition, as well. A number of national forests have offered $5 tree-cutting permits in November and December for several decades, but interest in the special program has increased dramatically in recent years. In the Eastern region, the permits are available for the White Mountain National Forest in New Hampshire, the Green Mountain National Forest in Vermont, and the Monongahela National Forest in West Virginia. You can buy tree-cutting permits through Thursday, December 22, at White Mountain National Forest offices in Gorham, Conway, Campton, and Lincoln, in New Hampshire; and at Green Mountain National Forest offices in Rutland, Middlebury, Manchester Center, and Rochester, Vermont. If you’re interested in cutting your own Christmas tree in one of these national forests, be sure the nearest office will be open. The Androscoggin Ranger Station in Gorham, N.H., is offering limited services in December, but will be open the first three weekends in December to accommodate Christmas tree permit sales. The Conway office is closed on weekends. Not surprisingly, the nation’s capital is home to several Christmas tree traditions. The National Christmas Tree, a live Colorado blue spruce, was originally transplanted to the White House lawn from York, Pennsylvania, in 1978. The President and First Lady begin the Washington, D.C., holiday season by lighting that tree. That ceremony occurred this year on Thursday, December 1. 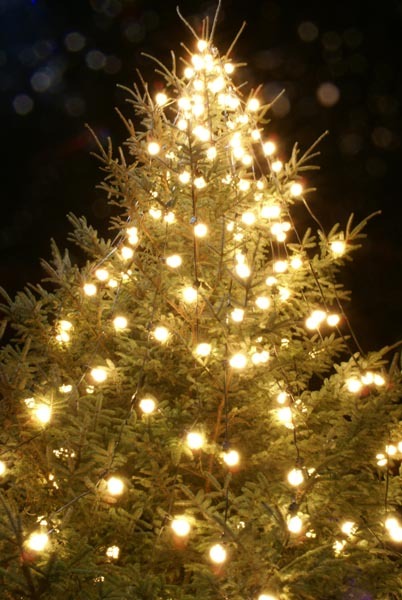 The Capitol Christmas Tree lighting ceremony will be held at 5 p.m. on Tuesday, December 6. 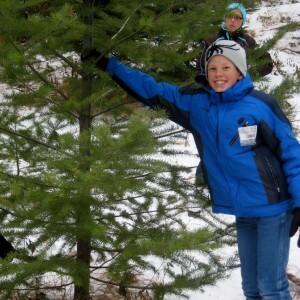 For your own holiday tradition, you can bundle up your family, grab a hand saw, plunk down five dollars for a permit, cut your own tree, and celebrate your own season of light.